Architect George Miers can tick off nearly thirty California animal shelters either built in the last three years, currently under construction or on the drawing board. He should know. His firm, George Miers & Associates, has had a hand in building many of them. From San Diego County in the south to Shasta County 800 miles north, homeless dogs and cats throughout California are getting new digs. And these shelters are not just new, they're improved, with amenities like socialization areas, expanded medical facilities and real-life rooms. Miers recently shared his unique perspective on what's driving the new construction, both in municipal animal control and private shelters. "As far as Animal Control agencies go, I think the big impetus has come from the Hayden Bill (SB 1785). This state legislation mandated that animals be held for a longer period of time and this fact alone pushed many cities and counties to comply on their own. In addition, local animal groups realized the benefits of Hayden and started exerting pressure on municipalities to comply, threatening to sue if they didn't. Today, matters are getting more complicated. New cuts in state, city and county budgets are placing a crimp in funding so it will be interesting to see if cities and counties that have shelters on the drawing boards actually go through with them. However, I've seen several examples, Shasta and Merced to name two, where the county government seems very committed to going forward. I think many areas will have the political will and be able to find the money to move ahead. It will be interesting to watch. There are other factors at play in some communities. In San Diego, for example, animal advocates are very well organized. A few years back, they generated a lot of negative publicity about sub-par conditions at the City's "central" animal control shelter which served San Diego City proper. This publicity led to a Mayor-appointed Blue Ribbon Task Force, which directly contributed to the building of a new facility there. Sacramento County was also the recipient of a series of negative articles about their shelter conditions, which resulted in citizens writing their supervisors and attending county meetings. Once the public spoke up, elected officials started to respond. Another incentive for the improvement of existing shelter facilities is a shift in public expectation as it relates to animal control agencies. There is a heightened sensitivity in many communities and a perception that what we currently have is bad and needs to be improved to do right by the animals. There also are more and more people who have visited or read about new, well-designed facilities. This seems to be the prevailing attitude in cities such as Lodi and El Cajon, both of which are about to build new animal control shelters. New construction of Humane Society and SPCA facilities is stemming from a different source. 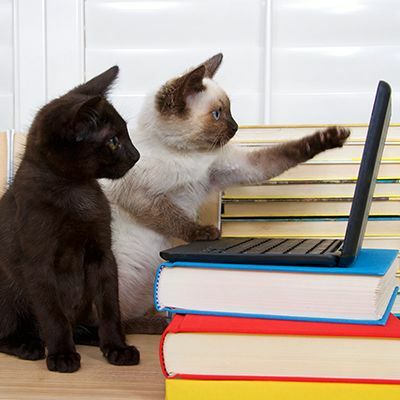 This movement started back in 1992 when the Oakland SPCA unveiled its new PeopleSoft adoption Education Facility. For the first time, a shelter looked like something other than a "Dog Pound." Although the animal holding areas were generally traditional, the shelter lobby, with its cathedral design and artwork by Laurel Burch, looked more like a destination for people than the then prevailing image of an animal shelter. This design was so different, it sent shockwaves through the industry. Then, in 1998, Rich Avanzino unveiled Maddie's Pet adoption Center at the San Francisco SPCA. His revolutionary concept in animal housing habitats pushed the envelope further, and showed the rest of the country that something very different was happening. This facility led every responsible humane society to rethink the nature of their overall holding habitats. Maddie's also made shelter directors aware that they had to start providing facilities for a whole new set of program components including things like dog training and socialization. When I first started designing shelters fourteen years ago, I was shocked at how many animals were euthanized. I'm seeing something very different today, especially in urban communities that have been presented with stronger Animal Care Education Programs by their Animal Control Organizations and/or Humane Societies. While it most likely will take a little time for the more rural communities to catch up, communities such as Shasta County and Placer County are moving forward with both active, people-oriented programs and a commitment to create humane facilities which support these programs." An update on the Hayden Law by UCLA Law Professor Taimie Bryant is provided here. For a refresher on this landmark legislation, read Dr. Bryant's outstanding article, originally posted in 2000. George Miers is the Design Principal of George Miers & Associates Architects and Planners, an award winning design firm which specializes in Animal Care Facilities and many other public-oriented buildings such as libraries, city halls and police facilities. Mr. Miers is a former board member of the Oakland SPCA where he served as Chairperson of the Operation's Committee. Mr. Miers has been a featured speaker at the HSUS yearly conference on Animal Care Design, as well as at UC Davis' Shelter Medicine School.